Night to Shine will be here before you know it! 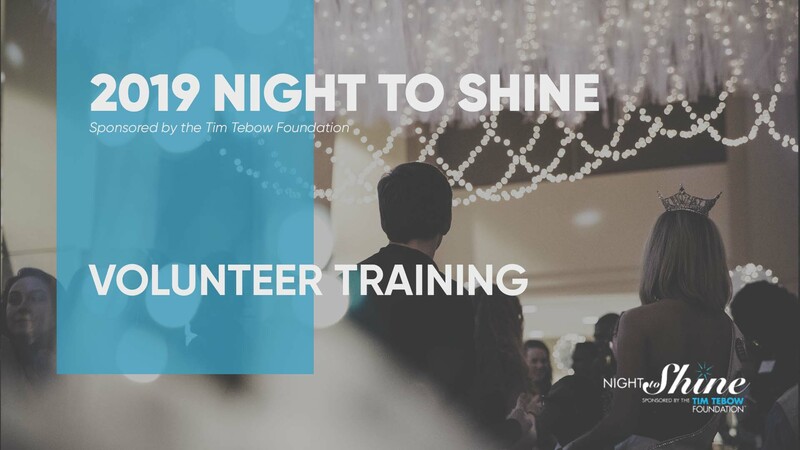 Shandon will host this incredible prom for people with special needs, sponsored by the Tim Tebow Foundation, on Friday, February 8. It’s a truly magical experience for guests and volunteers alike, and we hope you’ll be a part! Many have already committed to serve, but we still need volunteers for the Buddy and Food Service teams. CLICK HERE to sign up for either team. Content will be the same at both sessions. You need only attend one. Both sessions will be held in Room C104. Finally, please help us invite guests! Night to Shine is open to all people with special needs, ages 14 and up. If you know someone who might like to attend, please direct them to our web page to register online. You can also pick up flyers at the Missions Next Step kiosk on Sunday.